40 DESIGN007 MAGAZINE I JANUARY 2018 Feature Interview by Andy Shaughnessy I-CONNECT007 Ucamco has launched quite a few new CAM tools over the past few years, as well as updates for the venerable Gerber data transfer format, which the firm owns. For our "What's New?" issue, I caught up with Ucamco Managing Director Karel Tavernier and asked him about the company's latest efforts. He discussed their newest CAM tools, recent enhancements to Gerber, and the role artificial intelligence plays in automating the company's technologies. Andy Shaughnessy: Karel, what's new at Ucamco? Karel Tavernier: Our latest releases were driven by one of our cleverest customers, who chal- lenged us to speed up the processing of rou- tine jobs by making it possible to CAM 50% of standard jobs automatically. This makes a lot of sense: CAM takes up a significant pro- portion of the time it takes to make short run products, and yet the marketplace expects ever shorter delivery times. The more we looked at the proposition, the more we realised that 50% must indeed be achievable with current AI technologies; after all, with Integr8tor, we are already enabling our clients to input around 80% of their incoming jobs automatically. And at the other end, once the single PCB is final, panelization and output of the digital tools is largely automated using standard tools or can be automated using Hypertools—custom scripts within automation programs. 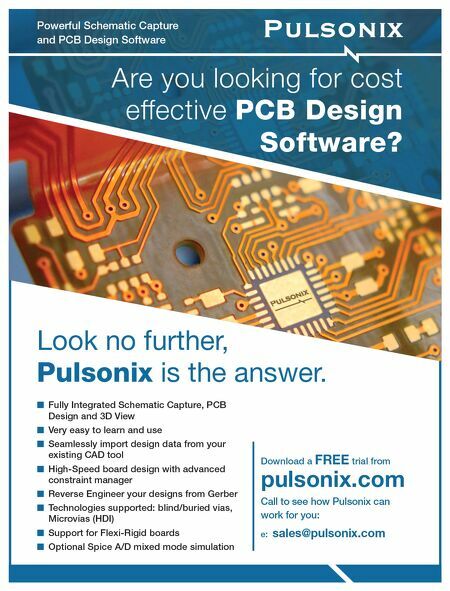 Our challenge, to close the gap between the original job and the finished single PCB, has largely been achieved with our Yield Enhanc - ing Layout Optimizer (YELO). YELO is a set of AI algorithms that automatically adjust designs to fit given goal capability classes, and they do this incredibly well, automating the boring, rou - tine part of CAM work, thus freeing CAM engi- neers to focus their skills on the more complex designs that can't be h andled automatically. 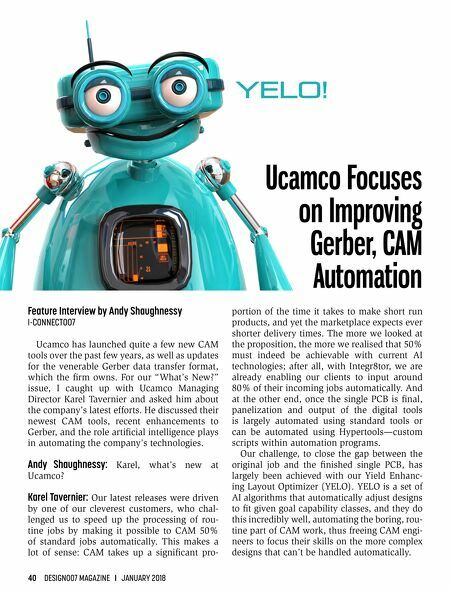 Ucamco Focuses on Improving Gerber, CAM Automation YELO!